Cuthbertson spoke before a packed room at American Trucking Associations’ 2019 Technology & Maintenance Council annual meeting March 18. Although the ELD mandate has been in effect since late 2017, the regulation includes a provision allowing fleets that had installed automatic onboard recording devices, or AOBRDs, in their trucks to continue using them for two more years. That exemption is set to expire Dec. 16. Cuthbertson said companies should aim to have ELD-equipped fleets by October, noting that “freight gets hot” during the fall season. Also, he said sooner is better than later because drivers need time to adjust to these devices in their cabs. In our season 2 debut episode of RoadSigns, we ask: What will trucking's business leaders need to make the transition from AOBRDs to ELDs in time? Hear a snippet from Fred Fakkema, vice president of compliance at Zonar, above, and get the full program by going to RoadSigns.TTNews.com. Trucks with engines built earlier than 2000 that are equipped with AOBRDs are granted dispensation and may continue to use the devices past Dec. 16, according to Cuthbertson. If trucks with engines made after 2000 do not meet the ELD deadline, drivers will be placed out of service. They will be allowed to deliver their load and return to their terminal but cannot make another dispatch until they have the appropriate devices. “Some teeth are in this if you don’t make the date,” Cuthbertson said. Cuthbertson also updated attendees on Canada’s progress in establishing an ELD mandate. A final rule on ELDs is supposed to be published in Canada’s Gazette 2 in June. Similar to the U.S. Federal Register, the Gazette is an archive of proposed and official Canadian regulations. 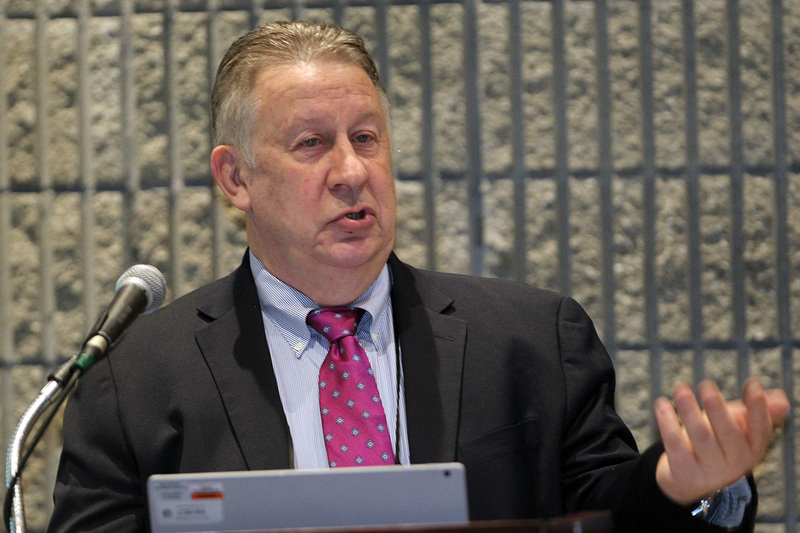 Cuthbertson said officials from the Canadian Council of Motor Transport Administrators are trying to make sure U.S and Canadian carriers are on the same page with ELDs. He noted that many Canadian fleets have drivers that make trips into the United States and vice versa. ELDs are inextricably linked to hours of service, another issue that Cuthbertson touched on. Cuthbertson said he read some of the more than 5,200 comments the Federal Motor Carrier Safety Administration received regarding potential changes to HOS rules. FMCSA published an Advance Notice of Proposed Rulemaking on Aug. 23 concerning the shorthaul HOS limit, the HOS exception for adverse driving conditions, the 30-minute rest-break provision and the split sleeper-berth rule to allow drivers to divide their required rest time in the sleeper berth. Is there adequate flexibility in the adverse-driving exception that currently expands driving time by up to two hours? Commenters largely responded in favor of allowing sleeper berth drivers to divide their rest time instead of resting for 10 hours straight. Cuthbertson acknowledged that such an allowance could be a good source of flexibility for drivers. “[There were] substantive answers that will give FMCSA something to work on,” Cuthbertson said.